Crossword Quiz Games Answers.Hello folks! 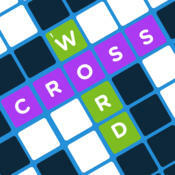 Below you will be able to find all Crossword Quiz Games Answers. This game is developed by Conversion, llc which are also famous for other games like Guess The Emoji.The developers of the game have updated the game with more new categories to play. Our duty is to post them all so you don’t get stuck in any of the new categories while you are playing. The newest category released is GAMES. We would recommend you to bookmark this page so the very first moment the game developers release new levels we are going to update this page. Thank you for visiting our website, hopefully you found what you are looking for! Something missing? Please drop us a comment below and we will get back to you as soon as possible with the correct solution!